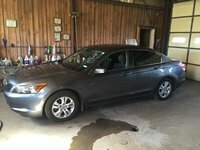 A refined sleeper of a top-tier engine, two competent suspensions and transmissions, and an unbeatable reputation make the 2010 Toyota Camry a great buy. A lack of quality control inside the 2010 Toyota Camry puts a stain on an otherwise competent offering. Toyota is not one to sit still, especially when its customer base cries out. 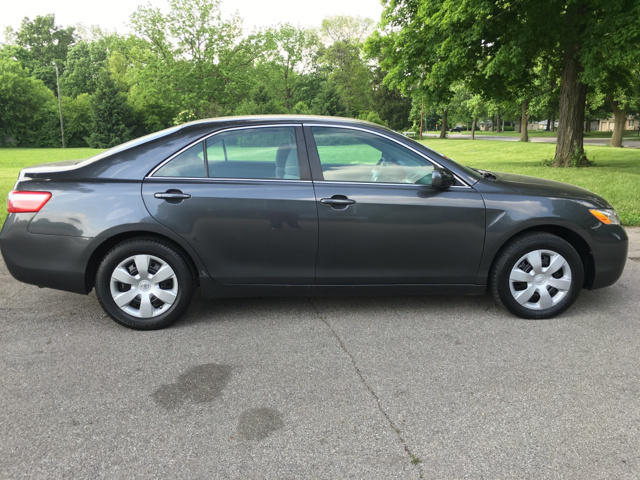 The 2010 Camry is a great vehicle and a good value as is, but attention will be paid to the small shortcomings its owners are encountering. A year or two may see these issues resolved. As America’s best-selling passenger car for seven years running, it’d be easy to assume that no changes were necessary for the Toyota Camry in 2010. Instead, Toyota saw fit to increase power and displacement in its base engine, add an extra gear to both base transmissions, and make subtle styling changes to the front end. The four-door, front-wheel-drive, midsize Camry gets a freshly designed grille and front bumper with a larger intake, larger headlamps, and redesigned tail lamps. Additionally, all models receive new wheels or wheel covers, tying both ends together. Replacing the outgoing 2.4-liter, 158-hp inline four is a 2.5-liter engine that first saw duty in the RAV4. Power increases to 169 hp for the Base, LE, and XLE trims, while the sportier SE trim gets 179 hp. Further, the five-speed transmissions have been dropped for a standard six-speed manual in the Base, LE, and SE trims, and a standard six-speed automatic in the XLE, with both transmissions available as options in all trims. This means an increase in fuel efficiency despite the power increase to 22/32 mpg for the automatic and 22/33 for the manual. A 3.5-liter V6 that produces 268 hp and comes with a six-speed automatic that gets 19/28 mpg is available as on option in the Base, LE, XLE, and SE trims. This engine is impressively fast, with 0-60 times that land just over 6 seconds. The Hybrid trim comes with 2009’s 2.4-liter gas/electric hybrid engine, which qualifies the Camry as an Advanced Technology Partial Zero Emissions Vehicle (AT-PZEV), one of only a few vehicles with that designation. EPA estimates for the Hybrid come in at 33/34, but acceleration does suffer, especially from a stop, with its CVT transmission struggling to provide enough torque until higher speeds are reached. The Camry is biased toward comfort and achieves this well, sometimes to the detriment of performance, the most glaring examples being excessive wallow at speed and lean in corners, although never to a worrisome level. The SE combats both well with its sport suspension, but with stiffer springs and larger 17-inch wheels, comfort is sacrificed slightly. Steering is a strong point of the Camry, with a pleasantly progressive feel that borders on too helpful at speed. The Hybrid’s steering is nowhere near as confidence-inspiring, lacking both the consistency and the response of the other trims by enough to drop the Hybrid below class averages. While the design of the Camry’s interior has seen much praise for aesthetics and action alike, the details are where it falls flat, with many complaints being heard regarding uneven seams and continual noises that seem to go beyond simple assembly toward actual mechanical operation. This is a particular shame considering the overall well-designed layout of the interior, with convenient and instinctive placement of controls, and the general upscale quality of materials. Seats are comfortable and supportive front and rear, although the rear cushion would benefit from more length. Still, there’s plenty of room for adult seating front or back, even for five. Some small rear visibility issues appear for the driver, although nothing unexpected. A Sport Convenience Package on the SE will get you an automatic rearview mirror with integrated compass and a universal garage door opener, and a Sport Leather Package adds leather upholstery, heated front seats and mirrors, and a power passenger seat, although both of these packages are available only with the automatic transmission. The Camry comes with several standard safety features not usually found on base trims, like a driver’s knee airbag, traction control, and an anti-skid system. This is matched by dual front, front-side, and curtain-side airbags, antilock four-wheel disc brakes with brake assist, traction control, a tire pressure monitor, and daytime running lights. Accordingly, the Camry scored five stars on all NHTSA tests excepting rollover resistance, in which it earned four stars. While owners are pleased with the Camry’s ride and overall comfort, the assembly quality of the interior ruins the experience for far too many. The 3.5-liter V6 provides performance and efficiency with zero pomp or circumstance, although the other offerings fail to live up to their bigger brother’s example. For the price, owners are happy with the versatility of the model, offering borderline economy to borderline luxury with the negatives of neither. What's your take on the 2010 Toyota Camry? Chevyboy18 Spacious car w/ huge trunk. Easy to get in and out of. Great reliability. 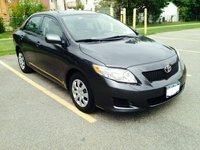 Users ranked 2010 Toyota Camry against other cars which they drove/owned. Each ranking was based on 9 categories. Here is the summary of top rankings. 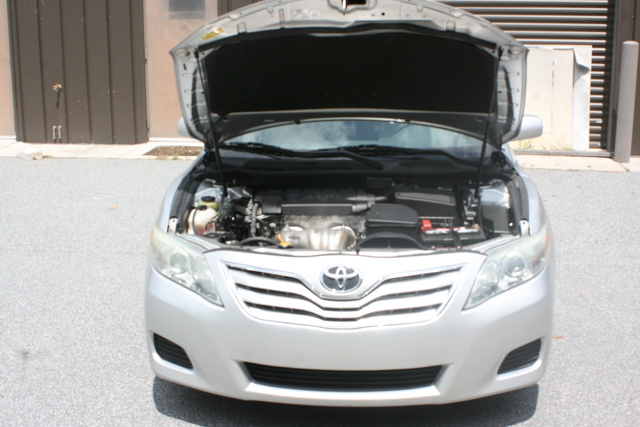 Have you driven a 2010 Toyota Camry? When Day Running lights are on, dashboard lights work fine. When they auto switch to headlights, dashboard (including radio) go out. Local mechanic says he can't fix, but probably dealer can.